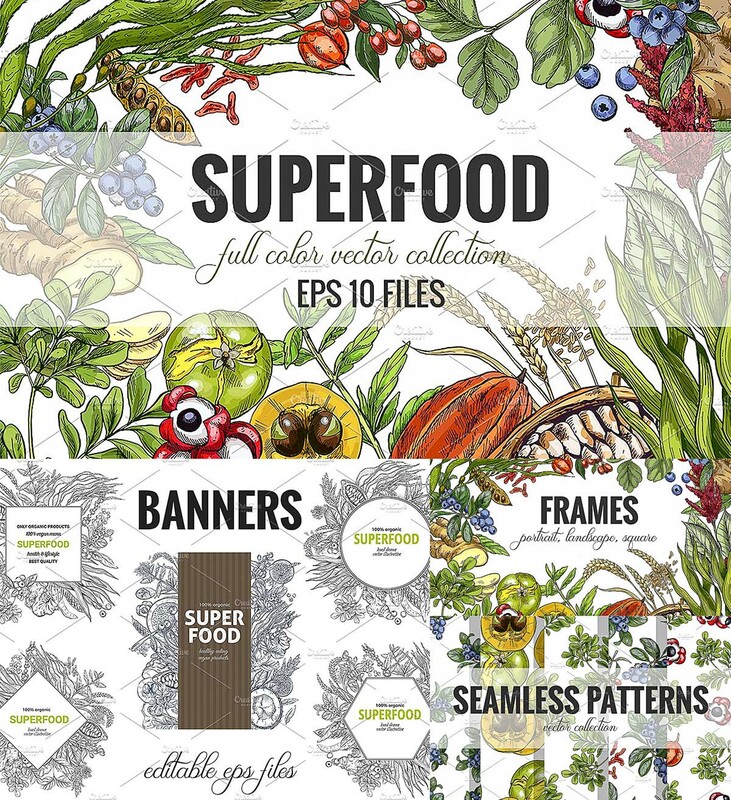 Introducing superfood collection, hand drawn elements, full colour realistic vector illustrations. 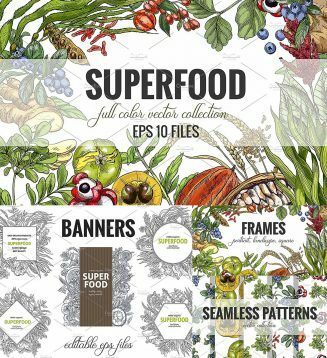 You’ll get: 10 patterns,5 banners, 3 frames with hand drawn superfood illustrations (chia, goji berry, blueberry, coconut, spirulina,moringa, baobab, cacao, quinoq etc.). Tags: banner, berry, cacao, chia, detox, food, health, quinoa, seed, sketch, spirulina, superfood, vegetarian, wheat.